Seattle has long been an appealing place to live for many young professionals and families because of its prosperity, location, and jobs; but many have . It is home to some of the country’s leading tech giants, and there are still plenty of opportunities out there for people starting out in the industry. The question for many is whether or not Seattle is actually affordable. There may be prosperous job offers on the horizon, but will this be overshadowed by the cost of living in Seattle? Is Seattle still a city worth moving to, or are there better opportunities? There is no getting away from the fact that the cost of living in Seattle is indeed higher than many major cities. It is still much cheaper than New York and San Francisco, but there is still a sense of affluence here. The cost of living is around 24% than the national average, and this comes down to the cost of housing, which itself is around 51% higher than average. It may be trickier to find an affordable home here for those coming from poorer areas. The impact of this depends upon the salary coming in, savings and other financial factors. While the median salary of Seattle may be lower than some would expect, there are many major companies located close by. Microsoft, for example, is actually located in Redmond, not Seattle. Those looking to commute out and live in the city could find themselves better off than those that stay within the city. Naturally, some of the more competitive salaries are found within the tech industry. The median salary for a senior software engineer is approximately $98,000. Regardless of these higher costs, there is still the fact that Seattle remains attractive to many people for many reasons. The Pacific Northwest is an area with its own identity, beautiful scenery and a different way of life to other regions of America. Moving here is an adventure for the brave, and one that can pay off with job prospects, a good quality of life, cultural experiences and more. The elements that make this a great tourist town, like the waterfront and fish market, are just as appealing to the locals. Always remember that the information offered here on the cost of living in Seattle is just a starter guide that focuses on averages and paints a basic picture of the situation. There are median rates based on average prices and average salaries, but this will not reflect the situations of every couple or family moving to the city. The best course of action is to take this advice further with your own research based on your own circumstances. Use tools like the PayScale Cost of Living Calculator, to get more detailed results on the cost of living in Seattle based on your income. Take the time to research different mortgage lenders and options to find the best deal. Also, make sure to consider the different neighborhoods and areas in more detail to check the pros and cons. 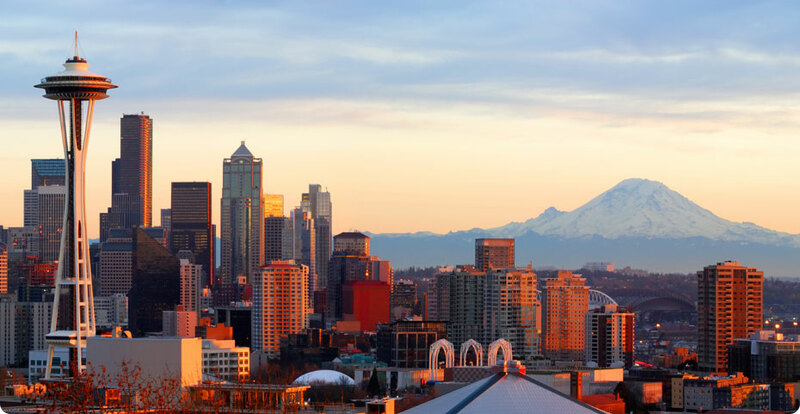 There are definite benefits to living in Seattle, and it comes at a price, however on the upside, Seattle has low unemployment rates, competitive salaries, and plenty of fun and play.